Travel fees are charged in addition to our Service fee. Early morning surcharges may apply. Public Holiday surcharges may apply. Once a Deposit has been laid, please understand that the Client/aka You are committed to pay for all the services agreed upon for the confirmed number of people in your group (at the time of booking.) The number of Heads/Faces may be added to (within time constraints) but not taken away/cancelled. We accept Cash, and Direct Debit (EFT) as long as the funds are CLEARED by the time of the Event date. Paypal can also be an option for those with Credit cards linked, however an additional fee will apply for Admin fees. Personal checks will not but Bank cheques will be accepted. No Diners nor Amex available. Corporate/Commercial jobs will be supplied with a Tax Invoice with our ABN details and will be subject to payment terms on the invoice. THE ACCEPTANCE OF THESE TERMS AND CONDITIONS DOES NOT IMPLY YOU HAVE AGREED TO OUR SERVICE FEES UNTIL YOU HAVE RECEIVED AND ACCEPTED A FORMAL EMAIL/QUOTE FROM US. THANK YOU FOR TAKING THE TIME TO READ THROUGH THESE T&Cs AND WE LOOK FORWARD TO BEING ABLE TO PROVIDE OUR SERVICES FOR YOUR EVENT or WEDDING IN THE FUTURE! 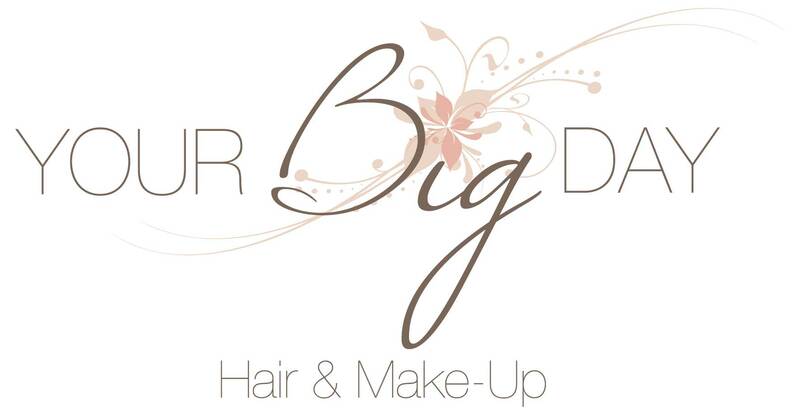 Your Big Day is a small business that provides exclusive, professional, mobile (that means We come to You) Hair and Make-up services for anyone needing help to get ready for any occasion or event… and in particular we specialize in Weddings and “beauty” makeup. We are on the Upper North shore of Sydney Metro. Normanhurst in New South Wales, Australia – near Hornsby and the F1 Freeway entrance. We service ALL areas of Sydney CBD and Metropolitan. We also service outer Metro and Country regions including the Central Coast, Blue Mountains, Hunter Valley, and down to Wollongong and the South coast (which will incur a Travel fee) which covers us for Tolls/Fuel and some of our driving Time. This fee is negotiated with the Client on an individual basis. Please request a Quote. No, we do specialize in Weddings and have impressed many Clients (aka our Brides), however we also provide Hair and Make-up for special Events, Formals, Birthdays, Parties, Presenters, Beauty contestants, Celebrities, and for Corporate Functions and Advertising / Commercial jobs. All of our Artists have much experience in the many facets of this industry. Can you come to my House or Hotel venue on the Wedding day? Yes – we certainly can and will do. 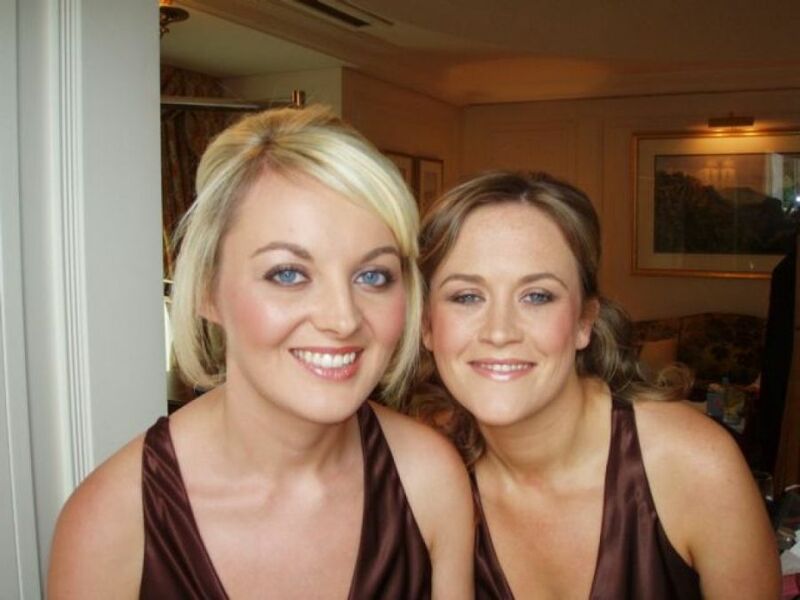 We offer a Mobile hair and make-up service that comes to You wherever You will be on your Wedding day or Event. NB: Travel and Parking fees may apply. 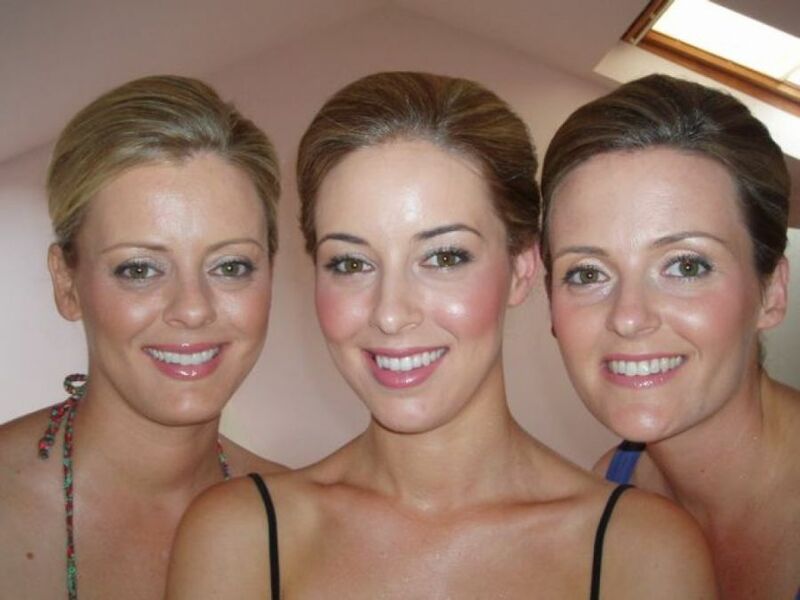 Do you offer Hair and Makeup Trials prior to the Wedding day or Event? 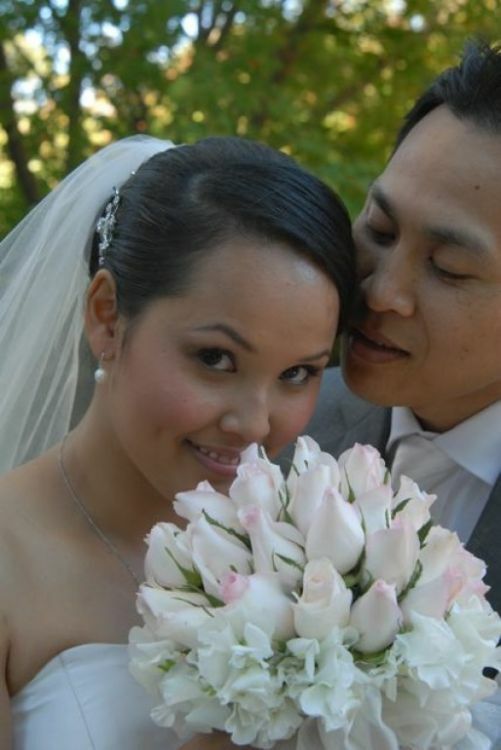 Yes, we highly recommend that you have a Trial with us before your Wedding day or Event. Several reasons being that 1) We like to meet you first and consult about colours, themes and styles. 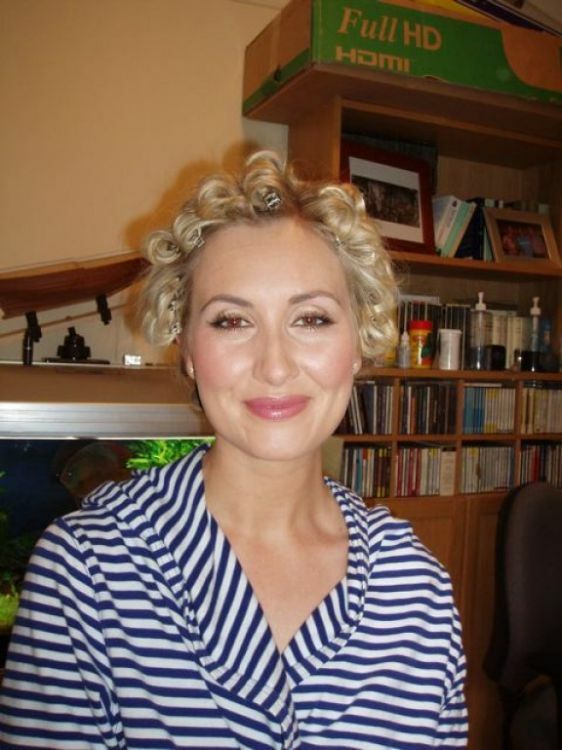 After the chat, we will conduct the Trial so that You can see what your hair and make-up will look like “on the day”. This way, there are no hidden surprises, and you can be certain you look exactly how you want – hopefully as beautiful as you had ever imagined! 2) The Trial also gives Us a chance to develop some rapport with You, so that you can feel completely confident with Me OR your Stylist you are booked with. Please Note: If you choose to not have a Hair Trial, you CANNOT be guaranteed that the style you intended is going to work on your head, and an additional Surcharge of $50.00 will apply on the Day for the additional time/labour costs. If you choose not to have a Make-up Trial, a $50.00 Surcharge will also apply and you CANNOT be certain that the “look” and colours designed for you on the day will be exactly as you visualized. 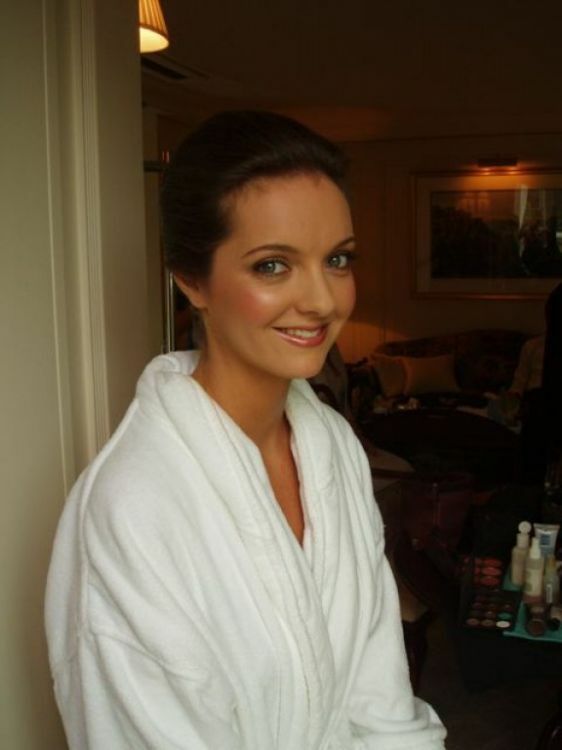 The Trials are essential for making sure you will have your Hair and Make-up looking “exactly as you want it” On the Wedding day. 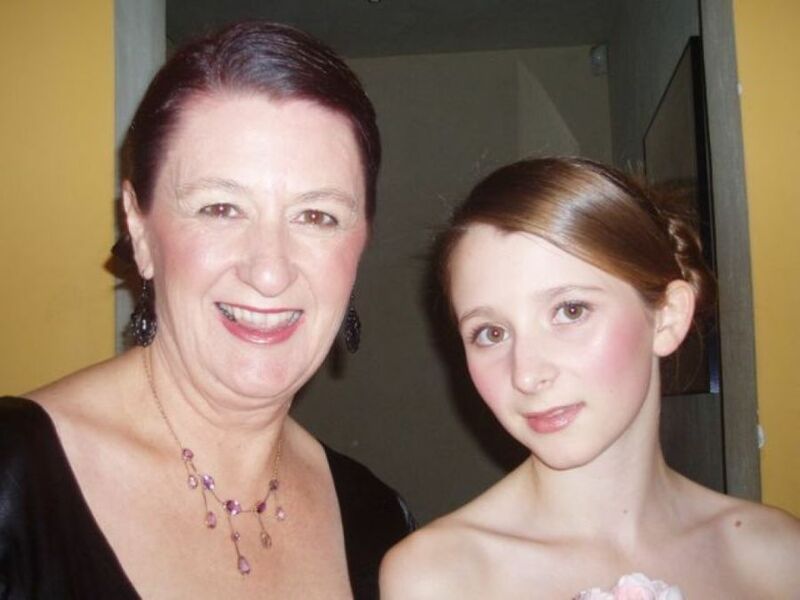 If you feel that any of your Mother/s or any Bridesmaid/s might be particular/concerned about their hair or make-up, then please feel free to recommend them to have a Trial with us as well. Our results are guaranteed to please on the Day, but only for those people who have had Trials conducted so that we can perfect and nut out any problems. We will then re-create the look/s designed at the Trial for you On the Day. Where are the Hair and Make-up Trials conducted? Trials can be conducted at the Stylist’s home to ensure all products and equipment is at hand OR more commonly requested to be in the comfort of YOUR own home (depending on the suburb this may incur a Travel fee) and on a date which is mutually convenient for all Stylists involved. When do you do the Trial? Do I need to bring anything? 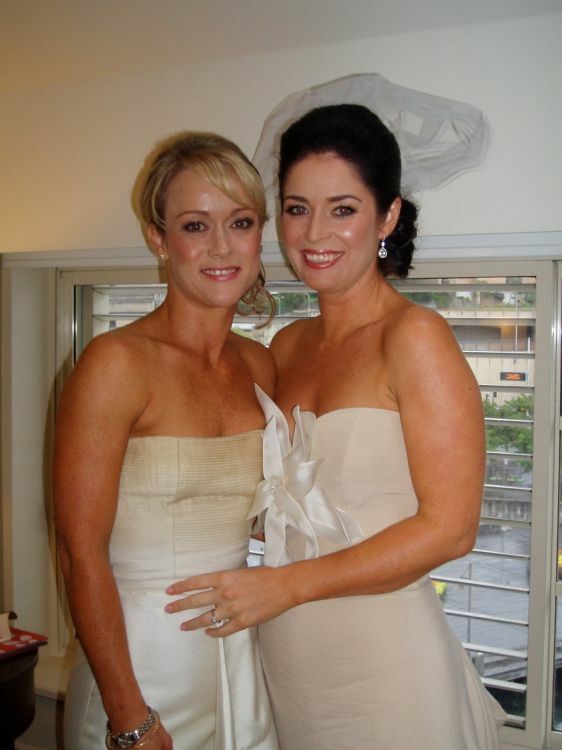 Pre-wedding day Trials are usually recommended anywhere from 1 to 6 months prior to the “Big Day”. Some Brides may want it done earlier (usually they are “shopping around” for the ideal artist) but I find it is not really necessary. A skilled and experienced Artist (like ours) should be able to create your desired look (using our professional judgment) and be able to execute corrections or adjustments to “tweak” the look to perfect to whatever You [the Client] wants! 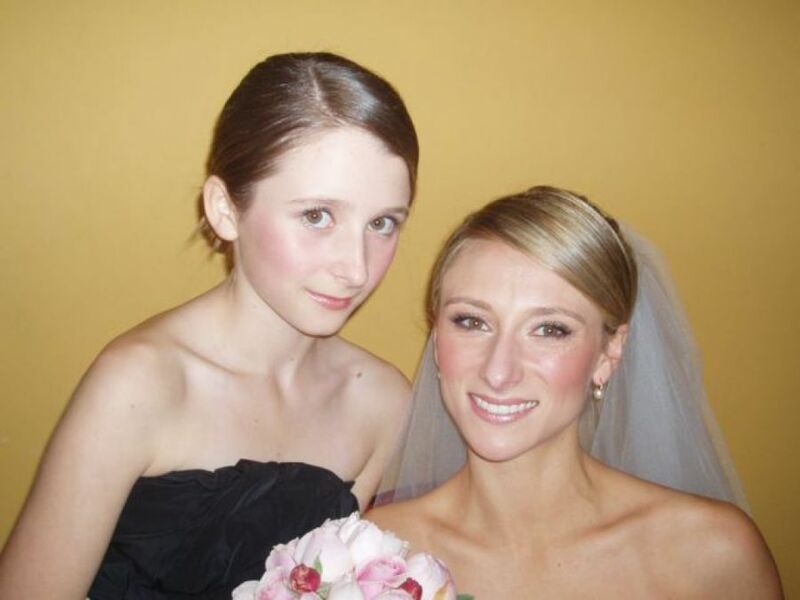 If the Trial is closer to the wedding date (like 6 weeks prior), You will feel more organized and your skin colouring should be closer to what it will be on the day. You should already have the details on the theme of the wedding and your dress colours ready. Please bring fabric samples (if you have any), and any cut-out “tears” of magazine pictures for hair and/or make-up references that you like. How do I prepare myself for the Trial? Please use a good exfoliating scrub on your face (unless you have sensitive skin – Don’t!) before you have the Make-up trial please. Your Hair should be left clean and dry, best washed from the night before. How long does the Hair and Make-up Trial take? Please allow 2-3 hours for the Hair trial, and 1-2 hours for the Make-up trial. Together it may take between 3 to 4 hours long (maximum limit). Depending on how many “adjustments” will need to be made, will determine the length of time it will take. If the Trial takes longer than this allocated time, we may need to book an additional appointment, as we have other scheduled clients waiting. If you cannot make up your mind immediately following the Trial (that is whether you like it or not), then perhaps you should take the time to go home and find more references, or get your friends to give you their opinions upon seeing you. I also suggest to take photos of your Trial for yourself to review. We will take our own photos for our own reference but You should as well. 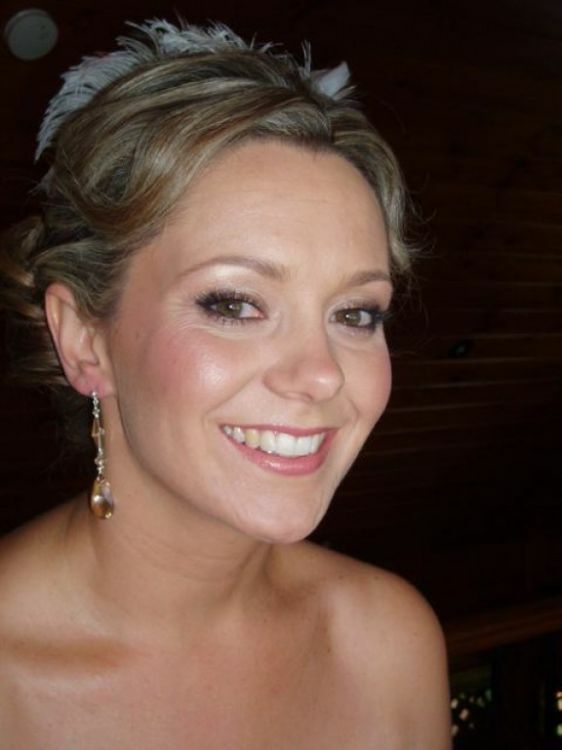 Do you offer Make-up Airbrushing in your services? What is the difference? Both Bonita and Diane are fully trained and have Airgun equipment. We are able to offer this service to you if you so request, however this is Not the standard service (we don’t carry this extra equipment with our normal kit, it will need to be specifically requested) and does take a little longer to implement due to the prep setup and cleanup, so additional fees will apply for Each person (for our labour time) if this is desired. The difference between “traditionally applied” liquid or powder foundation and Airbrushing is the application technique/method and the finish (or coverage) levels on the Client’s skin. Normally liquid/powder foundation is applied manually (by the make-up artist’s hand) using sponges, brushes and/or fingers. Airbrushed foundation is done using an airgun which sprays a fine mist of product onto the facial area (though it can be used on the body too, for tattoos for example). The coverage is very fine and light and is ideally best for quite clear, smooth, youthful skin. 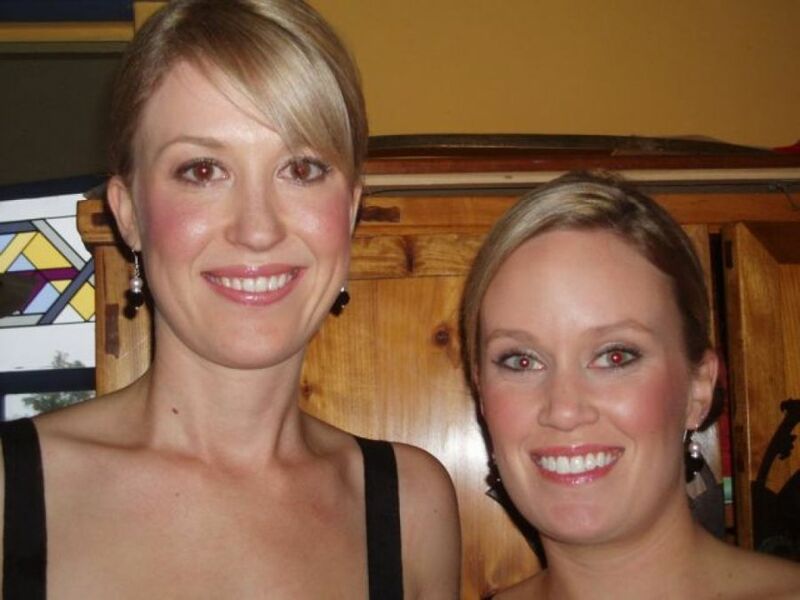 The coverage can be built up, however the idea behind the “airbrushed look” is that it does not look “caked-on”. Traditional make-up application has (in the past) gathered some bad reputation as looking too heavy or made-up but that is usually more to do with the Artist’s (bad) application rather than the product itself. The normal manual methods must still be used for the Colour application of eyeshadow detailing and blending, even if you requested Airbrushed foundation anyway (though Cheek blush can be airbrushed too). Lips and mascara are finished by hand as well. I have a Tattoo, are you able to cover this for me? We are asked this question all the time and in all honesty, it all depends on the Location on the body area and how Large the tattoo actually is… it is usually not worth the effort to cover it, as it will never be completely covered without using a fair bit of product over it – so you get a risk of transfer onto your white dress; and to correct the ink colour can be very tricky – so you may get a murky-looking bruise (unfortunately! ), which looks worse than the actual tattoo itself! We can certainly try our best to conceal it, but we cannot guarantee this; however we also have to consider our time limitations on the day, so there may also need to be an additional charge for our labour time if it requires some extra effort to work on it. Do we have to use you together as a package, or can we just book the Hair or Make-up service separately? No, you may certainly book one service independently of the other. If you already have a great Hairstylist and you only require Make-up, please let us know, we are more than happy to oblige. And that goes vice versa. If you are impressed with what you see from our Gallery, please complete the Enquiry form on the Contact Uspage; you can then Download the standard Pricelist yourself from there, or we will happily reply to your Email as well. Parking fees and Travel fees are additional to the Service fees (only where applicable). The Pricing document is a PDF file NB: GST inclusive. If you have a particular budget to adhere to, please Email us to see how we can negotiate something to suit you. We may be able to offer possible “options” on a case-by-case basis and would love to hear from you. Why is sometimes the cost of Hairstyling more expensive than the Make-up? Usually Hairstyling takes longer to complete than Make-up application, just due to the many steps involved with the process. The labour time is taken into consideration with the individual Hairstyles – this is why we request a brief description from you in the initial emails, so that we can estimate the time involved, determine the complexity for each head of hair, and accurately Quote you for your requirements. In general we like to allow ONE (1) hour per person for Hairstyling, and then 45 minutes for Make-up per person, but please allow 1.5 hours for the Bride’s Hair (rarely, but sometimes more! 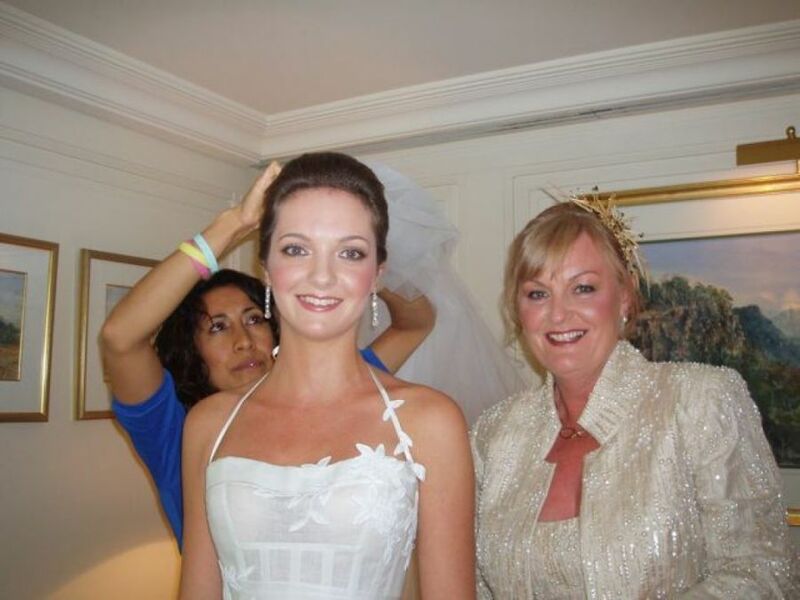 ), and 1 hour for the Bride’s Make-up on the day. Do you have a Minimum Call-out fee? What does this mean? A Minimum Call-out fee does normally apply to Wedding parties (although this can be waived at our discretion). The $300 Minimum applies PER Stylist on Weddings and PreWedding Photoshoots held on Fridays to Sundays. The reason for this is that as we usually receive multiple inquiries and interest for the same date, we like to honour the “first come, first served” principle and we will not turn Clients down only because it is for ONE person (eg. the Bride) that requires our service. 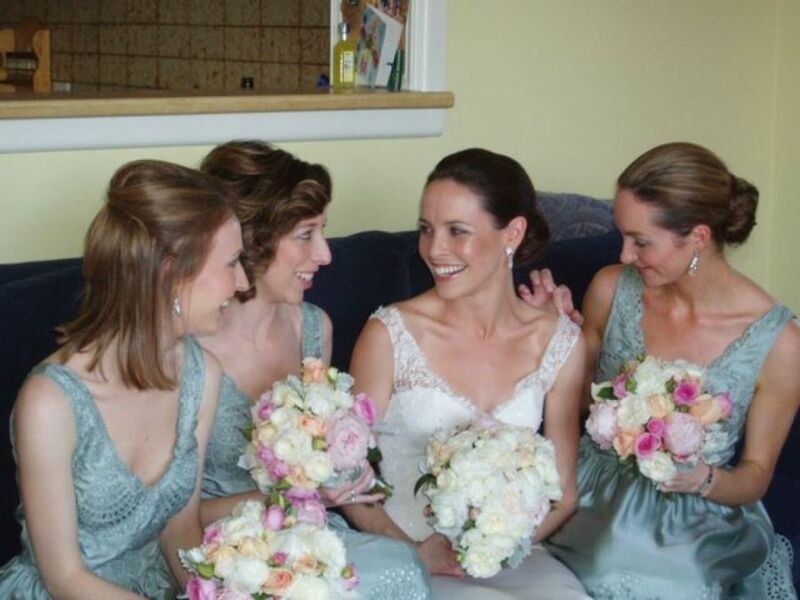 We do however hope that You (as the Client) will respect the fact that we could receive interest from a 7-person Bridal party – in which case we would have to turn them down – because we had already accepted the first job (of one person). Instead of cancelling our first client and risking an unreliable reputation, we request that our Client will pay a Minimum Call-out fee for our Wedding services. This Minimum also applies to Pre-Wedding Photo shoots if the date coincides with Wedding dates (mainly weekends). What is an Early Morning Surcharge? And do you have one? An Early Morning Surcharge is an additional charge to the standard service Pricelist, which applies on a case-by-case basis depending on the Start time for the job. We are happy to waiv this fee if there are multiple parties in the group, however it may apply for a Single person if we needed to start at 5am (or earlier, for example). The reason for this charge is because the Client is requesting our normal Hair and Make-up services, at an “outside of normal hours” time. Because we need to start so early, our Stylists would be required to wake up extra early, like 3.30am and then travel to your venue for the 5am start. This in itself is not a usual time to wake, and then to perform our services is very labour intensive to complete the job. The Surcharge is applied to compensate (and remunerate) the Stylist for their “extra” efforts involved, and inability to take further clients for the remainder of the day. Can you please explain your definition of Long, Medium and Short hair? Our definition of Long hair is any length from and below the bra strap level on a lady’s back. Medium length is from the shoulder length to the bra strap level. And Short hair is anything above the shoulder level. Hair shorter than the ear level is considered Super short. Our ranging levels of pricing reflects the estimated labour time involved in styling the different hair lengths and complexity of the hairstyles requested. What is involved in the Hairstyling process? Usually a traditional Bridal or Wedding Upstyle is the most difficult and time consuming to do as it takes longer with the multiple processes involved. 3) Finishing the hair is the pinning and placement of the hair once it is taken out of the rollers or pincurls, and the final “fixing” of the hair into the intended hairstyle. For Upstyles: this is the most important part of the styling process and the critical point to distinguish between someone who can “really upstyle with skill” or just a good job. Main pointers to look for: frizzy bits coming out, or strands of hair sitting displaced, and not sitting smoothly or fixed where it should be; hair pins being visibly seen – a skilled upstyler will have the pins cleverly hidden from view. The shape and sculpted Upstyle will sit and look good from ALL angles, front/back, side to side, and from the top looking down. The Upstyled hairstyle should feel firm and secure, but not pull or be too tight on your scalp. For Downstyles: if the hair is to be worn out, once the rollers are removed, the hair still needs to be brushed or finger-raked into place and hairsprayed, known as “dressing” the hair. Do you require a Deposit? And how much is this? We normally request a Deposit after the Trial is conducted (once you have made a decision). 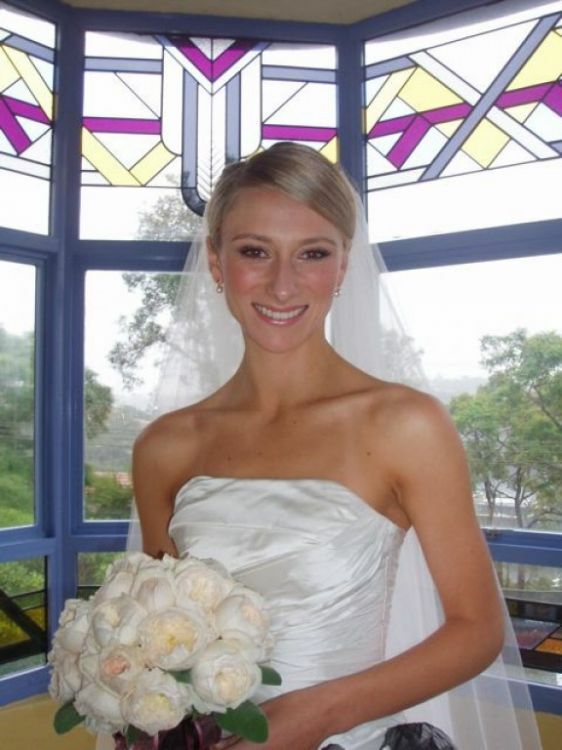 You may leave a minimum of $110.00 or more (for Country/outside of Sydney areas it is higher), which will be taken off the Final balance on the Wedding/event day. If you cannot decide then, but decide to proceed with us later, you can EFT or use Paypal to deposit to our account. Note: The EFT/Paypal details are supplied following completion of the Contact us form, and upon your request. Can I change the number of people initially requested for Hair and / or Make-up? You may add requests to the booking at any time, however once a Deposit has been paid, you may not remove the number of people that have been agreed upon. Please inform us immediately of any additions you need to make so we can allocate the timing on the day. If someone is sick on the day, you may replace that person with another guest, or at our discretion we may offer a Credit to be used, however the entire Balance must be Paid in Full as confirmed a few days before. What is the order of getting us ready on the Day? A tentative schedule can be discussed with your Stylist at your Trial time and timing will be worked out more specifically for the day. Generally as a rule, we never leave the Bride to be the last person getting ready, the Bride is definitely completed at least one hour before the discussed finishing time. 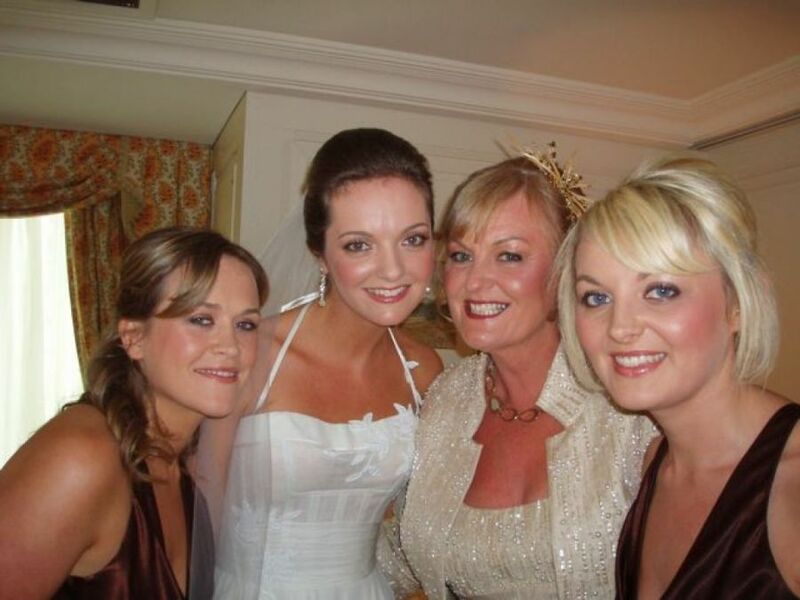 An emailed tentative order can be arranged prior to the day if you supply all the names of your Bridal party needing Hair and Make-up to us beforehand. This term refers to the Time you (aka the Bride/Client) need to be Ready, but not dressed yet, and not walking out the door. 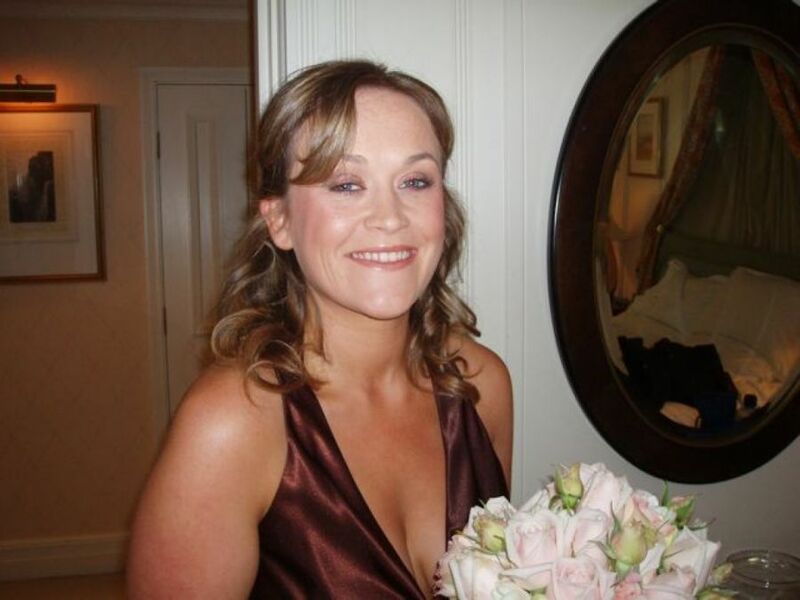 You need to allow for the Photographer to have time (usually at least 30 mins) to take some professional shots of you once you are dressed, and have some shots taken with your Hair and Make-up fully completed and fresh for camera… also shots dressed with your Bridal party ready beside you, and your Family members. These photos will be the ones where your Hair and Make-up will look the best as it is only newly done. So for example, if you have a Ceremony at 4pm and you need 30 mins to travel there (ie. leave at 3.30), then also allow 30 mins for photo time (ie. 3pm photos), and 15 mins to dress (ie. start to dress at 2.45), then your READY time should be around 2.30pm. If there are other things that need to be done, please factor the extra time in and inform us right away. If you have left a Deposit and you need to cancel for whatever reason, please notify us immediately; unfortunately deposits for cancellations within 8 weeks of the Wedding/event will be Non-refundable, as we would be unlikely to secure a replacement for your Wedding/event date at the last minute. We will consider refunding Deposits in circumstances beyond your control but we reserve the right to decide this; depending on the individual circumstances. A Credit may be offered (only at our discretion), to be held and used towards another service in future. We accept Cash, Bank deposits / Electronic Funds Transfers (EFT), and can receive Paypal payments (additional fees involved). Please deposit the Full Balance owed if paying by EFT – AT LEAST THREE (3) working days BEFORE the Wedding/Event date. The funds must be CLEAR prior to the Wedding day. We DO NOT currently accept any Credit cards, Amex, or Diners transactions, and ALL Paypal fees are to be paid by the Client. Unfortunately due to past unpleasant experiences, we do Not accept personal cheques for payment, unless it is supplied TWO weeks before the Wedding date and we can clear the funds before the Big Day. Note: The EFT/Paypal details are supplied following completion of the Contact us form, and upon your request. 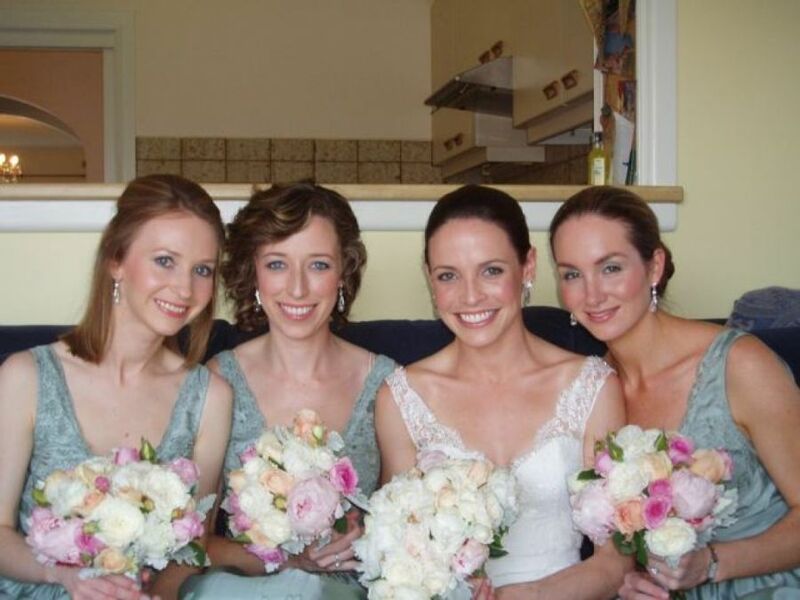 Do you offer discounts for larger bridal parties? We understand everyone has a budget and we are sensitive to your circumstances. With parties of 10 Adults and more, we are open to negotiate a special rate. Note: this will only apply to the Same (one group) booking on the Same date, in one (or nearby second) location; Not by combining two separate groups. Please ask us anyway for a quote with larger groups. 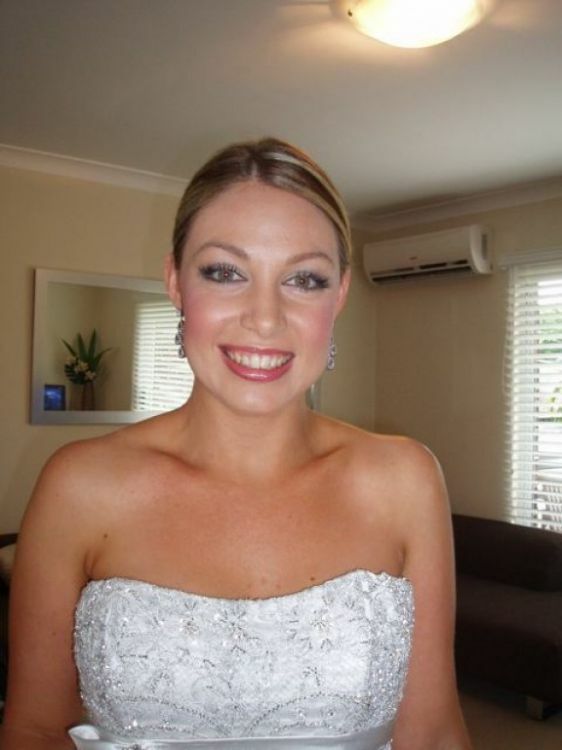 Do you supply any complimentary lipstick or lipgloss for the Bride on the day? 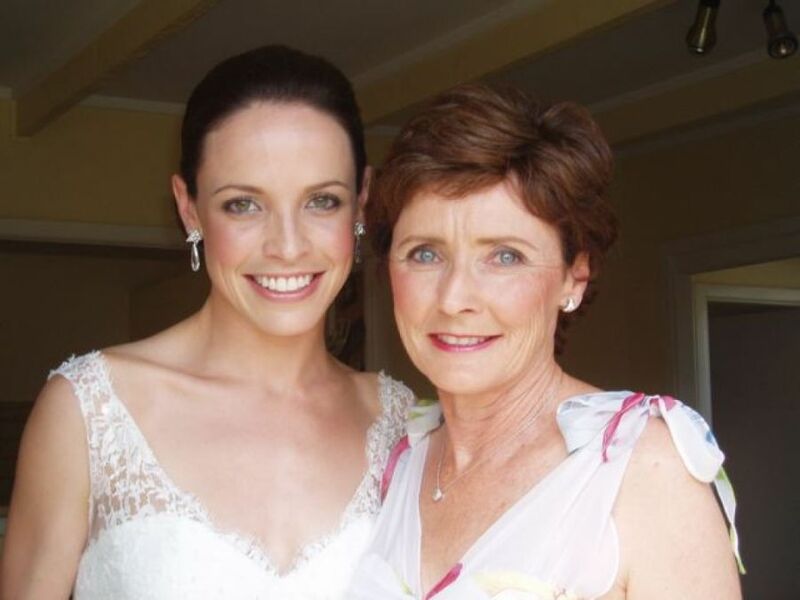 For parties of 6 Adults or more, we are happy to supply a touch-up lip product for the Bride (however this is Not brand specific, and the colour is selected by Bonita). 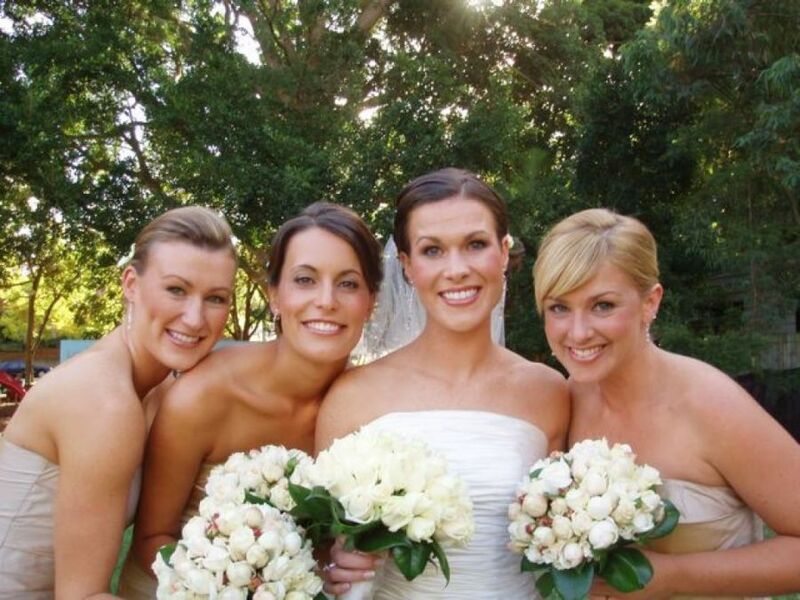 We will also provide a short list of beauty items that will be recommended for touch-ups throughout the day for the Bride and Bridesmaids; it will be their own responsibility to keep their make-up looking “fresh” after we are gone. See notes on Skincare tips. Do you supply False eyelashes? 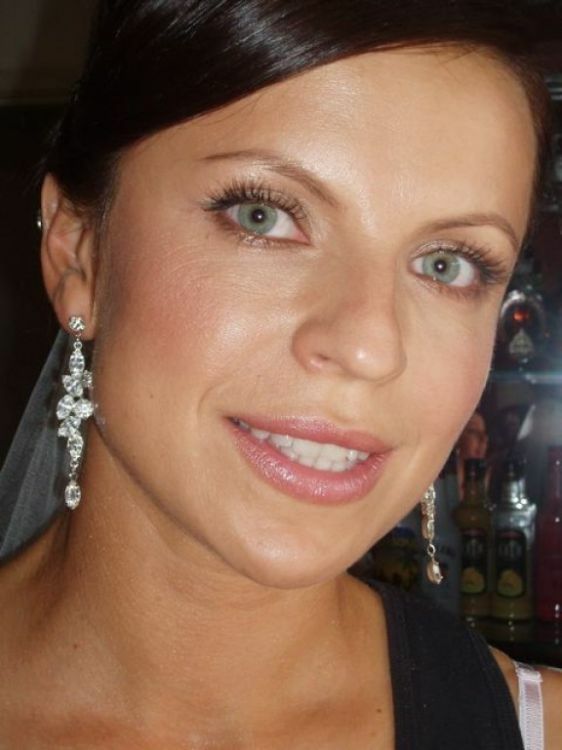 Individual false eyelashes are provided for the Bride only (inclusive in the Price). 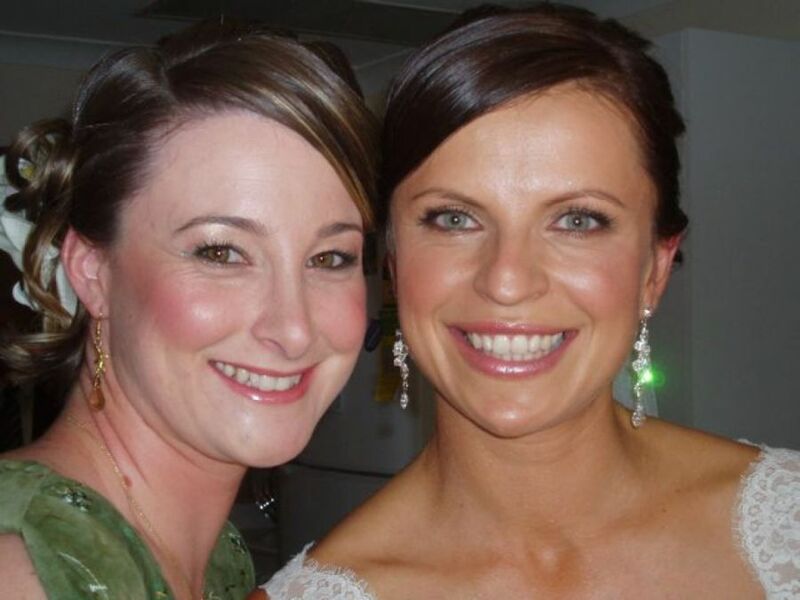 False Eyelashes may be requested for other Bridesmaids or Guests for an additional fee. We only use high-quality brands including NARS, Stila, Lancome, MAC, Chanel, Bobbi Brown, Prescriptives, Ben Nye, RCMA. Your skin will be treated to only the best. What do you do with the Photos you take? By commissioning our services, the Client gives consent that any images taken at the Trial and also on the Wedding day by the Your Big Day artists, and any professional images supplied back from the Client or Client’s Photographer, can and may be used for the purpose of attracting future wedding clientele. We use Social Media platforms such as our YBD Facebook site, Instagram, Pinterest, Twitter and our own actual Website, and some images may be chosen for printing on promotional material. Please inform us if you do Not agree to this usage straight upfront. 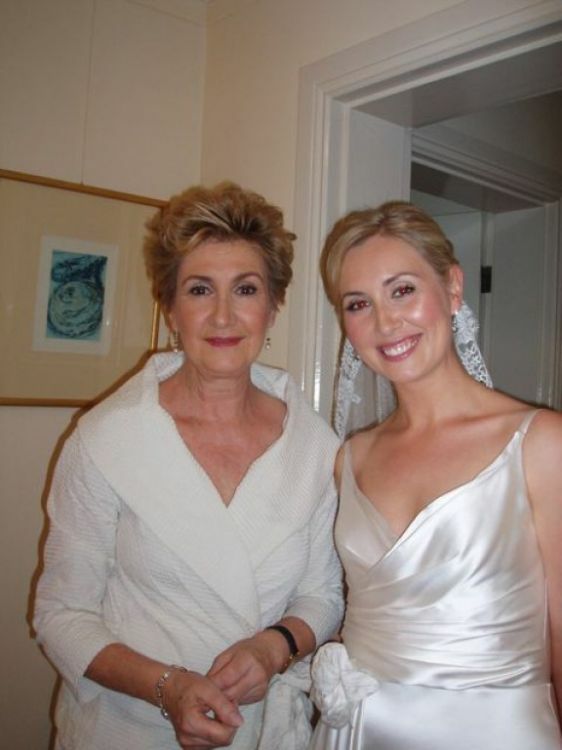 c) We therefore guarantee that we will not leave You [the Client] on Your Big Day, until you are “absolutely satisfied” with the results [of your Hair and Make-up]*. If things are not progressing smoothly, and you are not happy with something along the process, please inform us right away, and we will endeavour to resolve it immediately if it is within our control. YOUR BIG DAY – HAIR & MAKE-UP Gift Vouchers are transferable and may be “gifted” to someone other than the initial Recipient. 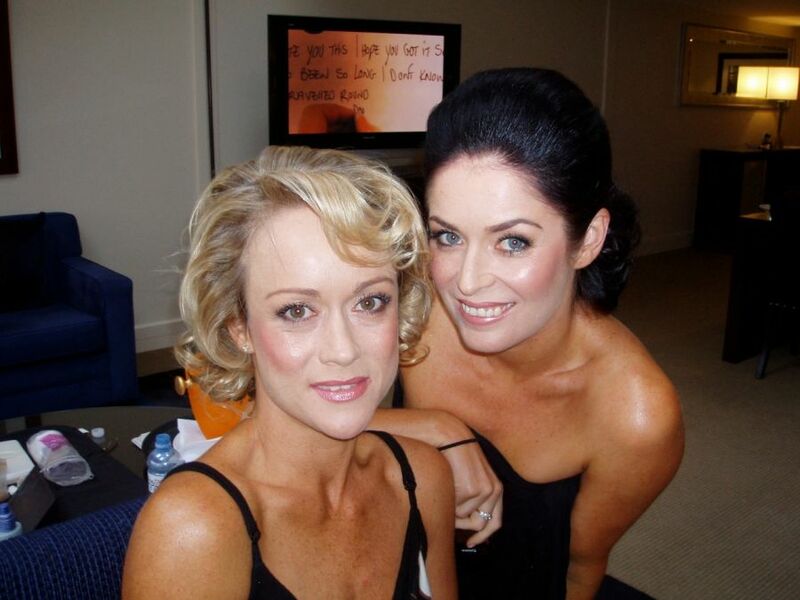 The Hair and/or Makeup services are to be completed in a single appointment booking/session. Appointments are to be made at a time mutually convenient to the Stylist and Customer. 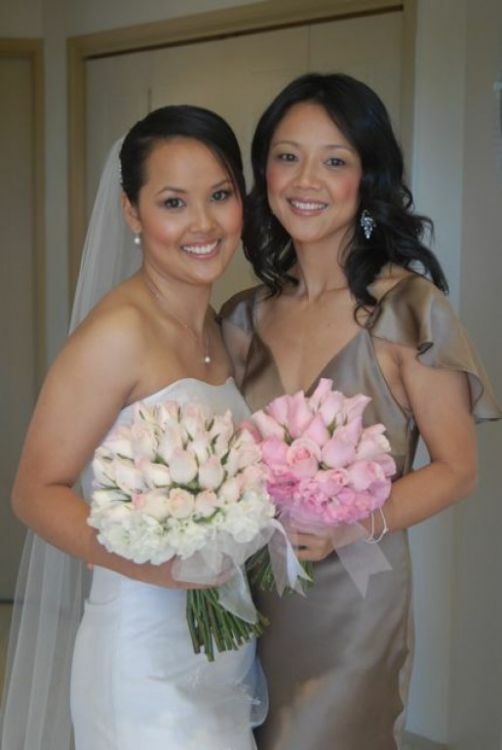 It is understood and accepted that any photographs taken (of the Client/s) during the appointment, may possibly and potentially be used in promotional and/or marketing materials for Your Big Day; print material and/or online such as our own Website, Facebook, Instagram, Twitter and Pinterest pages. Please discuss clearly with the Stylists if you do not agree to this usage. 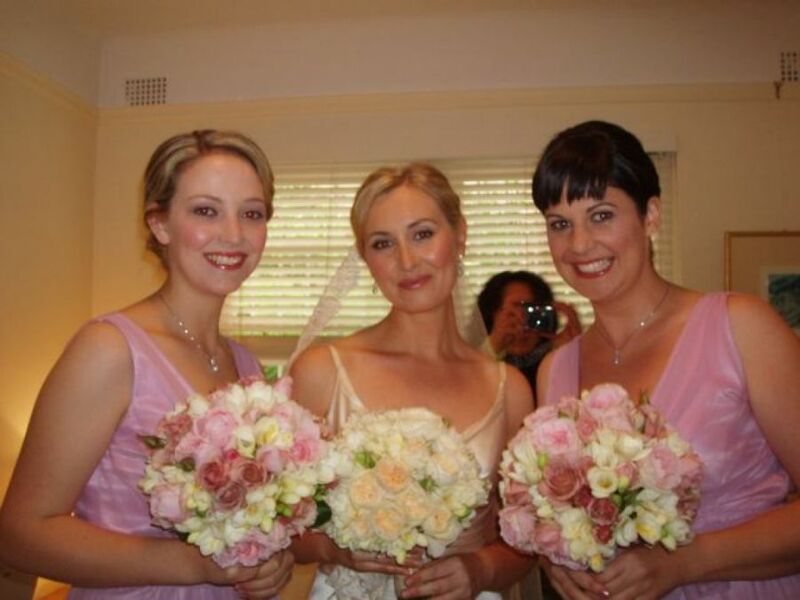 We take pride in our customer service and want to ensure that you will only have fond memories of feeling glamorous and looking gorgeous with the help of the Your Big Day artists by your side!